At least 50% of India's population is under 25 years of age. Official Language: Hindi and English. Oriya, Punjabi, Sanskrit, Sindhi, Tamil, Telugu, and Urdu. India is about 1/3 of the whole United States. Below, An India Political Map! One of Old Delhi's Monuments! Delhi is the Capital of India. It is a major travel gate way into India! 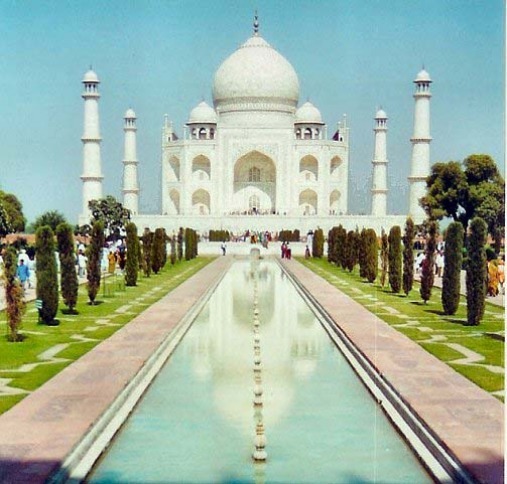 Delhi is Divided into 2 parts, Delhi and Old Delhi.New Delhi is an imperial city which was created as the capital by the British, and Old Delhi Used to be the Capital. 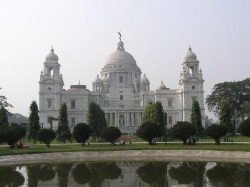 This is a Colonial building in Kolkata / Calcutta. They started building here until they went to New Delhi. Calcutta is presently called Kolkata. A few years ago it used to be called Calcutta. Kolkata has alot of people in it. It is also one of the many flourishing Cities. This Is a picture of a MAKING of a new tower in Mumbai. This Sky Scraper is enviromentally friendly. 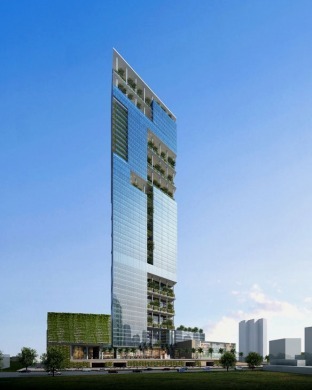 All pictures below apply to the same structure.The 60-story Elphinstone Mills complex in downtown Mumbai includes Class A office space and a pedestrian friendly retail podium. 2nd New Sky Scraper Building! Mumbai is the capital of Maharashtra state of India. Having New Sky Scrapers built. Chennai has the second biggest beach in the world,the Marina Beach. Chennai is less populated as compared to the other major cities of India.